Sydney achieved a significant price growth for its prime residences in the first quarter of 2017, according to a new report launched by Knight Frank. 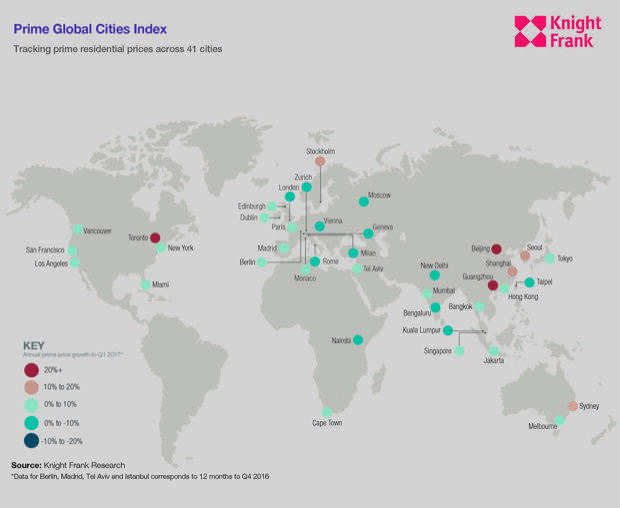 Knight Frank's Prime Global Cities Index – Q1 2017, tracked prime residential prices across 41 global cities worldwide so investors and developers could monitor and compare global performances. They revealed Sydney claimed sixth place on the global list with a 10.7% price growth. Melbourne also made it onto the list with an 8.6% house price growth, claiming ninth place in the rankings as the index overall increased by 4.3% in the year to March 2017. “Although the world is in a state of political and economic flux at present, inevitably we are seeing a degree of safe-haven investment flows into luxury property markets – including Sydney and Melbourne," Knight Frank Head of Australian Residential Research Michelle Ciesielski said. 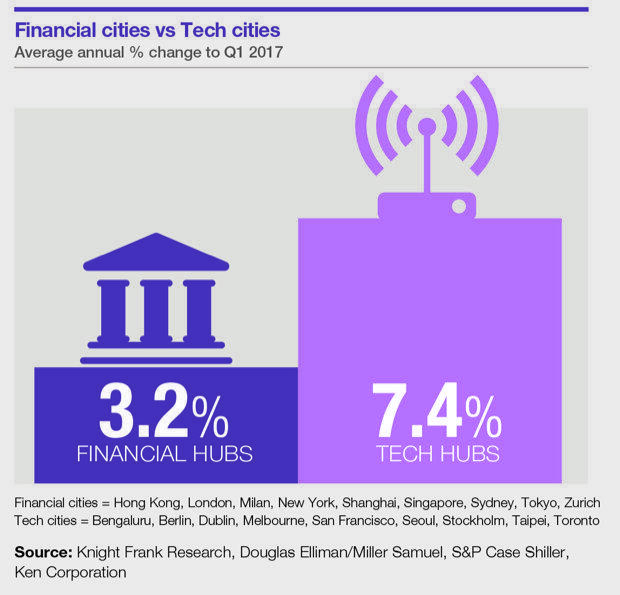 Tech hubs outperformed the world’s financial centres, with a 7.4% average annual change to Q1 2017 in comparison with a 3.2% change for financial hubs. “Financial cities include Sydney, Hong Kong, London, New York, Tokyo and Shanghai. Tech cities include Melbourne, San Francisco, Dublin, Berlin, Taipei and Toronto," Ms Ciesielski said. “Companies from all over the world, including numerous technology companies, have celebrated success in Melbourne emerging as a global city. “Amazon, Facebook and LinkedIn are among the latest global brands to lease space in the Melbourne Central Business District, and are part of a wave of technology companies seeking office space in the city," she said. “In 2005, technology companies occupied 120,000 square metres of Melbourne CBD office space. Today, this has increased to almost 200,000 square metres. “The Melbourne CBD office market was the best performing office market nationally over the six months to January 2017, recording net demand (110,000 square metres) of more than three times its historical average,” Ms Ciesielski said.